This just feels like dejavu doesn’t it. I remember when no one knew about Steve Nash, and he was picked up through an offseason trade, and then his career just exploded! 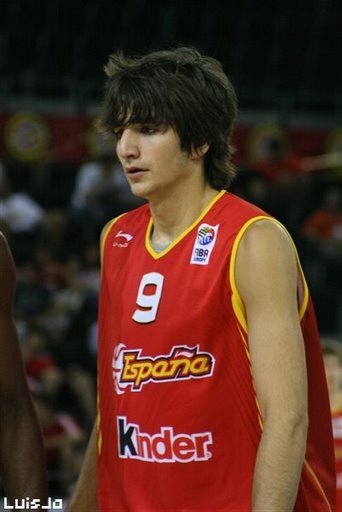 I love thinking that Ricky Rubio could be that player for the New York Knicks. Ricky is a top tier talent, there is no doubt about it. 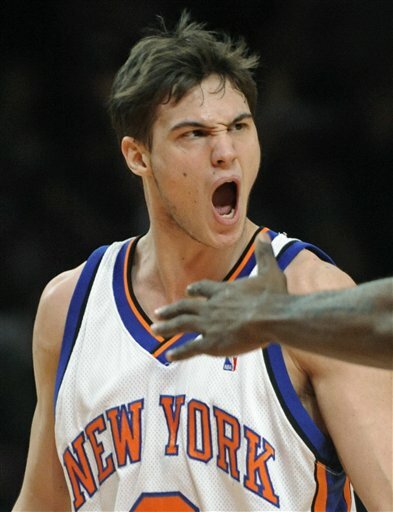 This kid has the speed,athletism and mentality to make an impact this year playing on the New York Knicks. He also would give Chris Duhan the much needed time off that he could not get last season. Ricky was drafted by Minnesota during this season’s draft along with two other high profile guards, Jonny Flynn and Ty Lawson . 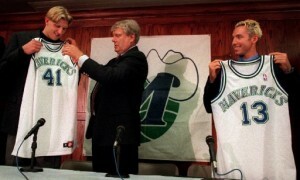 Since then, Ricky’s Father has vocalized Ricky’s discontent in playing for a small market team. So it is very possible that Donnie Walsh can pull something out. If he does not Ricky will probably stay in his European league. 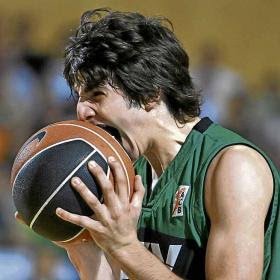 Considering Ricky Rubio is only 19 he has time to work on his game even more. If the Knicks can score a player like Rubio it will not be surprising to see him jump to superstar status, because he will be in the same system that created the man he is compared to, Steve Nash. Their have been reports of the Knicks needing to trade either Lee or Robinson for this deal to go through with Minnesota. 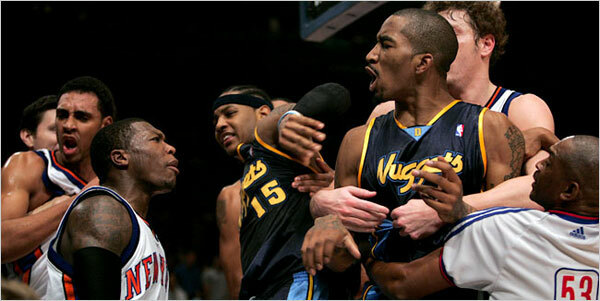 Nate Robinson without a doubt is a ticking timebomb. He will begin to breakdown just like every other small player in the NBA who’se game is entirely based on his jumping abiliity. Once that happens he will be a complete defensive liablilty with no speed in the lane! All it would take is one knee injury and this kid would have nothing! To secure Ricky Rubio quickly, Donnie Walsh should resign Robinson, in order to just trade him while his value is high and pick up the young talented Ricky Rubio. Nate Robinson, however, is a restricted free agent, so he will not sign for atleast 3 to 4 weeks so he can test the waters and find out his true value in the NBA. Ricky Rubio belongs in New York. The Knicks have needed a team first mentality point gaurd for quite sometime. Duhan was the start in changing the mentality of this team for the better. Ricky could be the end. With Ricky Rubio on the Knicks now, They might be the team to beat in the east coming 2010, since they won’t have to waste cap space on a free agent PG. Tagged: Big Market Ricky Rubio, Donnie Walsh wants Ricky Rubio, Draft pick Ricky Rubio won't play, Ricky Rubio comes to New York, Ricky Rubio gets traded, Ricky Rubio is a stud PG, Ricky Rubio is awesome, Ricky Rubio is signed, What position does Ricky Rubio play, Who is Ricky Rubio, Will Ricky Rubio be a knick, Will Ricky Rubio be a New York Knick? Honestly after the Knicks lost to the L.A. Clippers tonight I realized how bad they have become. 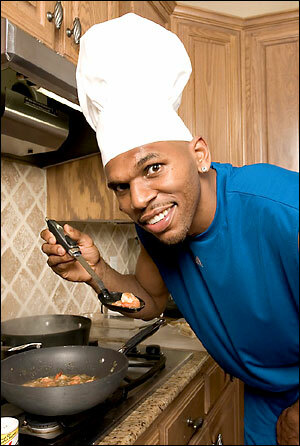 They promise the fans PLAYOFFS and Al Harrington is making the same mistakes he did when they lost to L.A. last time. The Knicks had the game in hand until he showboated and received a “T”. Then to listen to his excuses after post game was just pathetic! 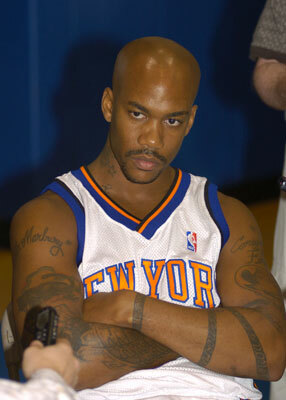 I love Al Harrington’s hustle but he is becoming the new Jeremy Shockey in New York. Hey Al just stay a little more in control, otherwise I love your heart man you are definitely someone I hope to see in the Knicks future! 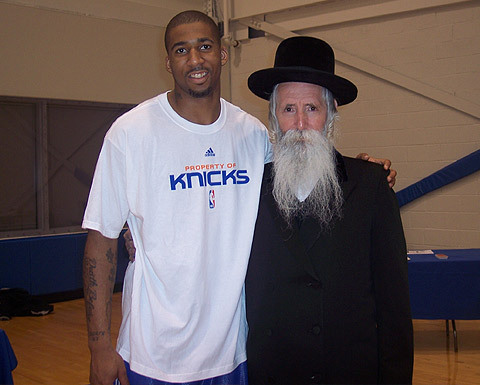 I am interested to see if the knicks can get a win over the last 11 games in the season. Mike D get control of your team. Otherwise, I would like to be the first New Yorker to say Orevua playoffs! This is becoming the Knicks new motto. Unbelievable! Kids should only cheer for a winner. These knicks just aren't that! Donnie Walsh is starting to look like a genius, just when New York had wrote this team off they make a splash and pick up two expiring contracts, for the rest of this season. This will not only put them in the running for the Big 2010 free agency mob, it will also give the New York Knicks a chance at this season’s postseason. 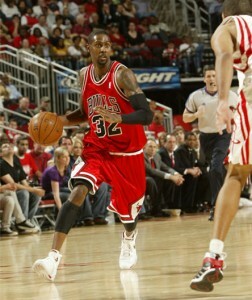 The trade for Larry Hughes consisted of Tim Thomas, Anthony Roberson, Jerome James being sent in a package to the Bulls for the SG. Chris Wilcox was picked up in a straight up deal with Oklahoma City for Malik Rose. The Knicks just got two players that may start for one bench player and four not even in the rotation. Great Work Donnie Walsh! 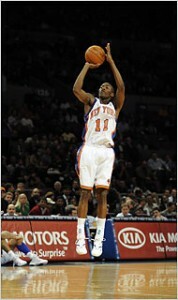 to below par New York Knicks team by a score of 121-109. 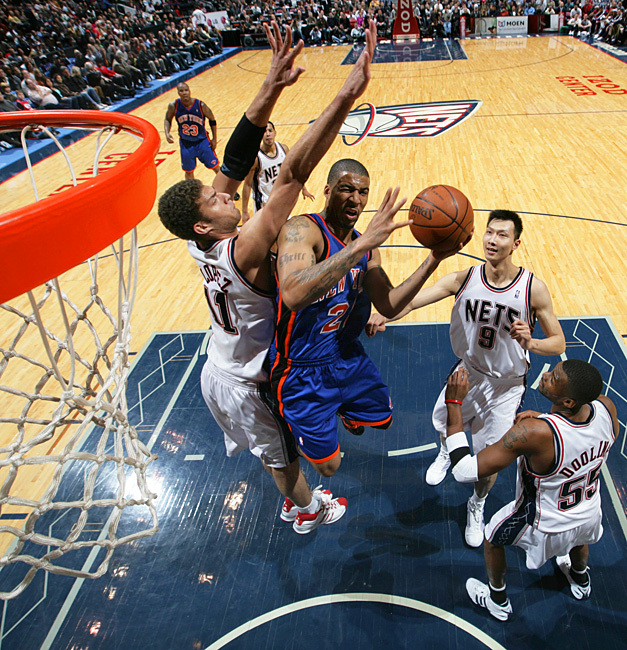 The Knicks trailed early in the game allowing Devin Harris 14 points in the 1st quarter. It seemed like this night was destined to be a failure from the beginning for the Knicks, we have grown accustomed to seeing. Yet, some thing has changed within the New York Knicks, this team now after the departure of Randolph and Crawford and benching of Curry, refuse to quit. I almost hate to say this but Al Harrington plays with such passion while wearing his hometown orange and blue jersey, it’s almost inspiring. Al Harrington lead the knicks with 39 pts, 13 Rebounds, 3 Assists. The Knicks never lead in the 1st half and were getting pushed around until Tim Thomas took over in the 3rd putting up 9 points in about 1 minute. 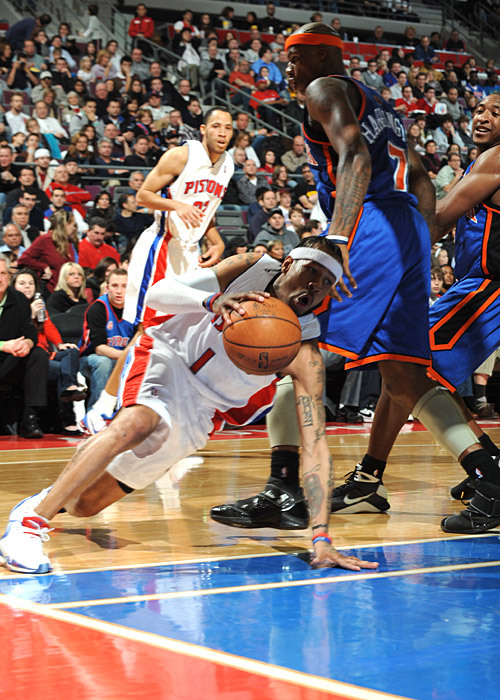 This sparked the crowd and Al Harrington to get to work. 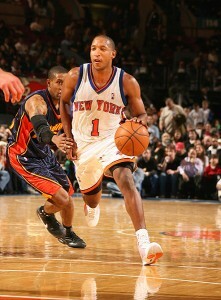 Chris Duhon had another great double double performance, with 10 pts and 10 assists. 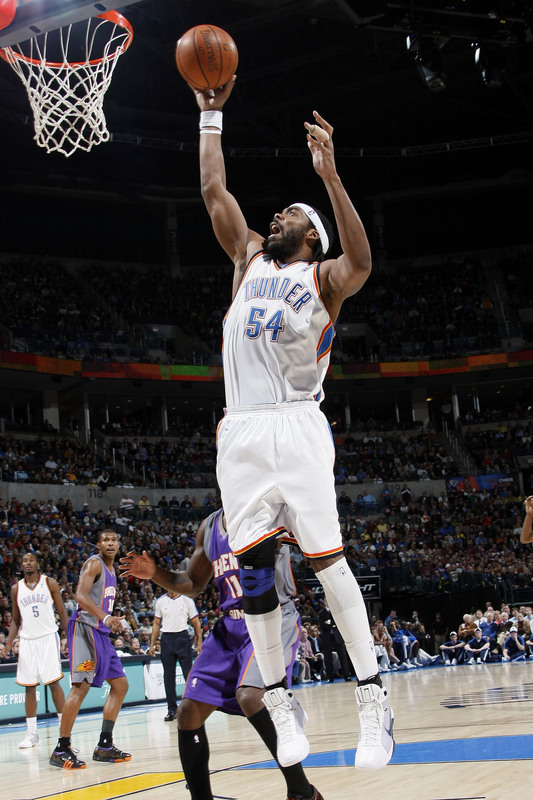 Chandler, who also put up big numbers, rebounded from his bad night in Chicago putting up 24 pts, 9 rebounds, 3 assists. Cuttino Mobley is going to announce his retirement from the NBA tommorow. 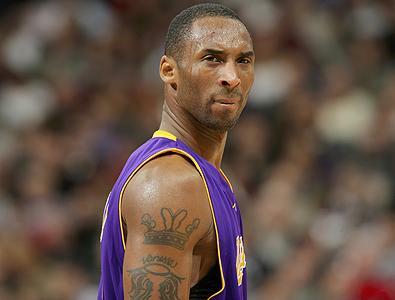 He is retiring due to a heart condition that will prohibit him from playing basketball. This heart complication was caught during his physical conducted during his trade from the Clippers to the knicks this year. This is pretty upsetting story, but atleast he isn’t going to sit on the knicks bench and collect a paycheck while he gets fat and doesn’t work hard, due to his “injury or condition”. I applaud Cuttino for knowing when to get out. 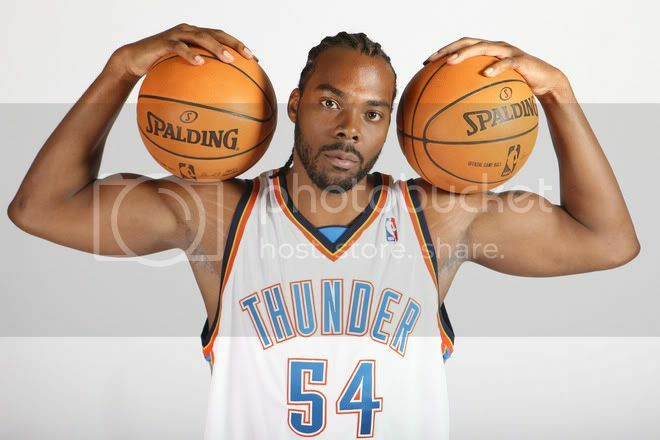 For Mobley I know there will be life after Basketball. Thats more than what I can say for some knicks! Stephon Marbury playing in the McDonald's HS All-American game. 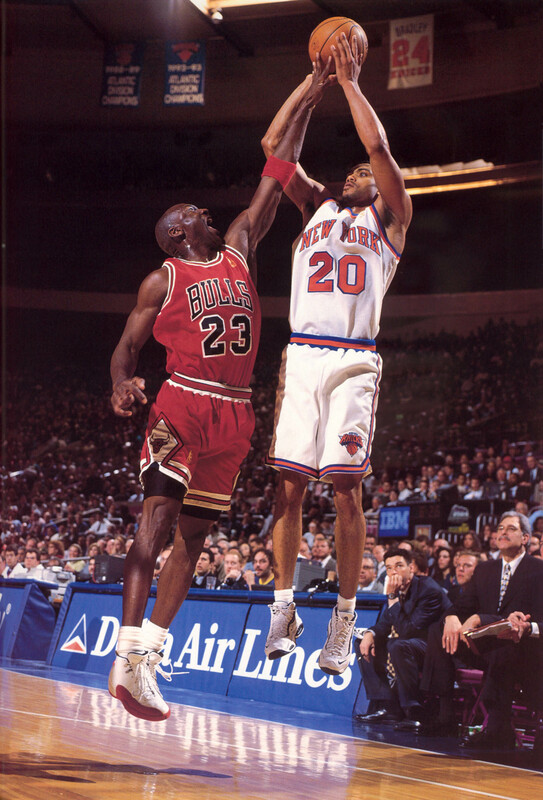 improved Knicks team, and he dismissed it. Without a doubt the organization had not treated Marbury correctly but this was a chance for Marbury to prove his worth, so at the very least at the end of this season, other teams could have bid top dollar to sign him. Has anyone ever heard of a player who refuses to play in his contract year? I am starting to wonder if he can still play to the level that we were accustomed to seeing. Mike D’Antoni without a doubt is bringing the team in a new direction, considering they are over .500, and they are the top scoring team in the NBA. They were planning a move from the beginning (I am sure of it). 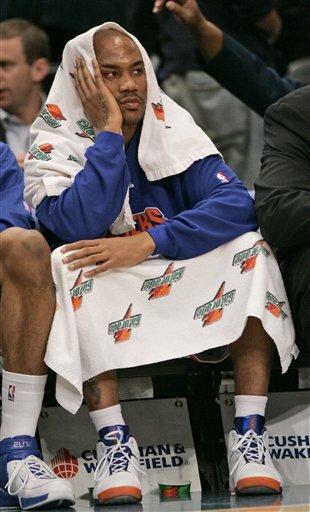 It could be possible that they were saving Marbury in case of this event, because at his ripe age, you never can be certain that he does not get bit by the injury bug. Jamal Crawford was sent to Golden State today in a trade deal that will bring disgruntled Foward Al Harrington to New York. Mike D’Antoni has had his eyes on this player for a long time, ever since Harrington had gone public with his distaste for his basketball situation in golden state. 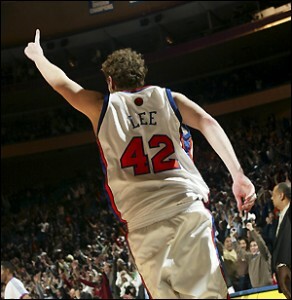 Now, the big question is who is going to be the big shooter for the knicks? 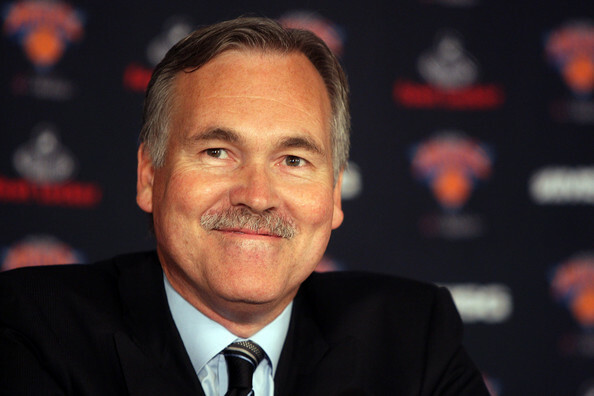 Is it possible that Mike D’Antoni will now look back to Steph, to come replace crawford? Is it possible that he has played everyone for a sap, resting Steph keeping him fresh, for when he would move Jamal! Could it be that he increased Jamal’s value ? One thing is for certian, Donnie Walsh is making changes. The next trade on the table is Zach Randolph, who has been supposively place with Mardy Collins in a deal for Tim Thomas & Cuttino Mobley of the Golden State Warriors. I don’t see the point of this trade, though. Hopefully Walsh will get more back than just Thomas and Mobley cause personally I don’t see the value in that trade.